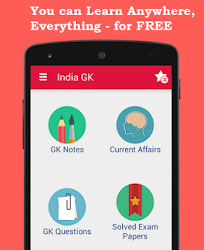 1st January 2017 Current Affairs MCQs, Quiz, Questions: Current Affairs for January 2017, Daily Multiple Choice Questions (MCQs) for India GK, World GK and current affairs with Collection of daily objective type Question by www.Indiagk.net based on General Knowledge (GK) and General Science (GS) Questions for UPSC, State PSC, SSC, Police exam, Railway exam, SBI, Bank PO, IBPC, SSC, LDC, UDC, Army, Airforce, Navy, Coast Guard, Bank Clerk, TET and all entrance examination with current affairs News, Multiple Choice Questions (MCQs) available on Website www.IndiaGK.net and Android Apps with daily updates:. What is New ATM withdrawal limit from 1st January 2017? Explanation: French Government is levying ‘terror tax’ on the property insurance policies of French citizens to help finance a fund for victims of the extremist attacks that have recently hit the country. The measure comes into force on from 1 January 2017 and requires policy holders to contribute 5.90 euros. French government earlier in October 2016 had launched scheme that about 90 million insurance policies are floating the fund which currently has reserves of 1.45 billion euros. More than 200 people have died in France in attacks over the last 20 months. Which party forms Government in Arunachal with 33 PPA MLAs led by CM Khandu ?